Playing a large repertoire of classic jazz tunes and original works, The Jon Menges Quartet is a chordless group of two horns, bass and drums with interesting arrangements suited for this instrumentation. A trumpeter, composer, arranger, and music copyist, Jon Menges’s creative musical programs delighted audiences in the Chicago area for many years. 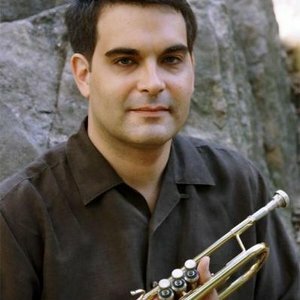 Jon has performed with such greats as Cab Calloway, Lou Rawls, Neil Sadaka, Leslie Uggams, Joel Gray, Jim Nabors, Freddie Cole, and Jon Faddis. As well as having traveled the world playing shows on cruise ships, Jon toured the country with the orchestras of Russ Morgan and Guy Lombardo. Jon also did a U.S. tour of the Broadway show Copacobana. Today, Jon resides and freelances in the New York City area, playing, writing, and teaching all styles of music. On Friday, April 14, the quartet plays at KD’s from 7:30-9:30. Join us for a wonderful evening of music featuring Jon Menges-Trumpet, Adam Kolker-Tenor Sax, Joe Fitzgerald-Bass, and Robert Weiss-Drums.